Investing.com – China stocks were higher after the close on Friday, as gains in the Software & Computer Services, Media and Oil Equipment Services & Distribution sectors led shares higher. 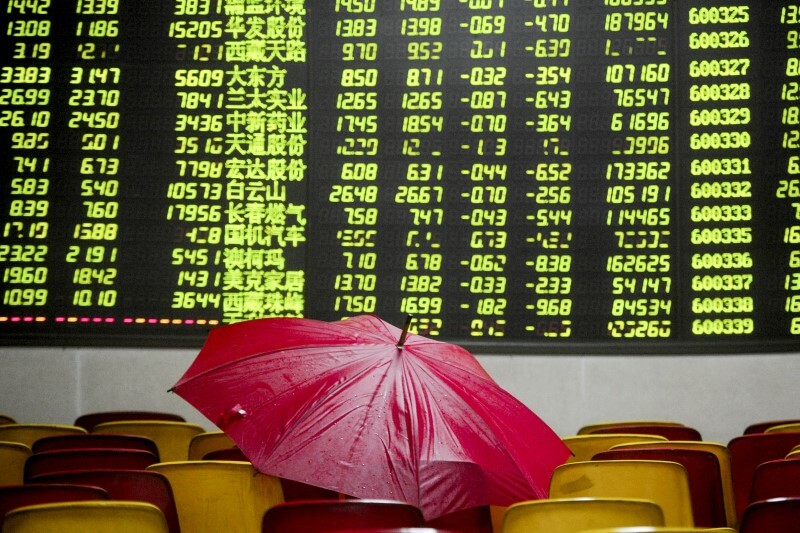 At the close in Shanghai, the Shanghai Composite rose 0.49%, while the SZSE Component index gained 1.00%. The best performers of the session on the Shanghai Composite were Aurora Optoelectronics Co Ltd (SS:600666), which rose 10.14% or 0.350 points to trade at 3.800 at the close. Meanwhile, Cultural Investment Holdings Co Ltd (SS:600715) added 10.05% or 0.610 points to end at 6.680 and Shenyang Jinbei Automotive Co Ltd (SS:600609) was up 10.05% or 0.440 points to 4.820 in late trade. The worst performers of the session were Jien Nickel (SS:600432), which fell 10.32% or 0.130 points to trade at 1.130 at the close. Zhongzhu Medical Holdings Co Ltd (SS:600568) declined 10.02% or 0.650 points to end at 5.840 and Guangzhou Yuetai Group Co Ltd (SS:600393) was down 10.00% or 0.430 points to 3.870. The top performers on the SZSE Component were Hangzhou New Century Info Tech (SZ:002280) which rose 10.00% to 5.50, Beijing Easpring Material Tech (SZ:300073) which was up 10.00% to settle at 31.78 and Hangzhou Shunwang Tech (SZ:300113) which gained 10.00% to close at 16.72. The worst performers were Zhejiang IDC Fluid Control Co Ltd (SZ:002468) which was down 9.99% to 17.74 in late trade, ZTE Corp (SZ:000063) which lost 9.98% to settle at 14.98 and Tonghua Golden-Horse Pharmaceutical Industry Co Ltd (SZ:000766) which was down 9.97% to 11.02 at the close. Rising stocks outnumbered declining ones on the Shanghai Stock Exchange by 1192 to 173 and 28 ended unchanged. Shares in Jien Nickel (SS:600432) fell to all time lows; losing 10.32% or 0.130 to 1.130. Shares in Zhongzhu Medical Holdings Co Ltd (SS:600568) fell to 52-week lows; down 10.02% or 0.650 to 5.840. Shares in Guangzhou Yuetai Group Co Ltd (SS:600393) fell to 5-year lows; losing 10.00% or 0.430 to 3.870. Shares in Zhejiang IDC Fluid Control Co Ltd (SZ:002468) fell to 52-week lows; falling 9.99% or 1.97 to 17.74. Shares in ZTE Corp (SZ:000063) fell to 52-week lows; falling 9.98% or 1.66 to 14.98. Shares in Tonghua Golden-Horse Pharmaceutical Industry Co Ltd (SZ:000766) fell to 52-week lows; down 9.97% or 1.22 to 11.02. The CBOE China Etf Volatility, which measures the implied volatility of Shanghai Composite options, was unchanged 0.00% to 22.60. Gold Futures for August delivery was up 0.02% or 0.20 to $1270.70 a troy ounce. Elsewhere in commodities trading, Crude oil for delivery in August rose 1.25% or 0.82 to hit $66.36 a barrel, while the August Brent oil contract rose 1.42% or 1.04 to trade at $74.09 a barrel. USD/CNY was up 0.11% to 6.5008, while EUR/CNY rose 0.52% to 7.5747. The US Dollar Index Futures was down 0.31% at 94.25.